Discover the hidden power within yourself. Anthony Robbins (Or Tony Robbins as most people know him) is the nation’s leader in the science of peak performance. 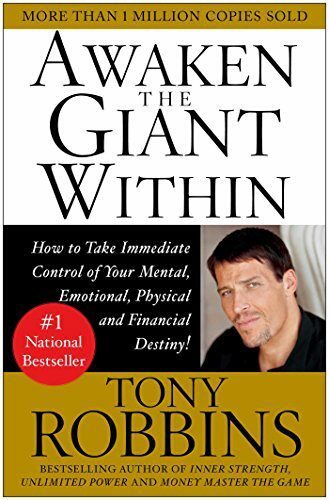 In Awaken The Giant Within, Tony shares his fundamental strategies and techniques for mastering your emotions, your body, your relationships, your finances, and your life. The book is a wonderful piece of work and really does lay out for you how effective tweaking a few perspectives can be on your mental, emotional, physical and financial destiny. There are three main steps to Awakening The Giant Within. Raise Your Standards – by raising your standards you are teaching yourself to think big, and to never settle for less than your best. This means that when you have an opportunity to stop where you are and rest on your laurels, you strive for perfection regardless, knowing that you expect more out of yourself. Change Your Limiting Beliefs – by changing your limiting beliefs you are rewiring the idea of what is possible for you and your destiny. Open yourself to new perspectives and put yourself in courageous situations to fully experience the idea that the only thing holding you back is your limiting beliefs. Change Your Strategy – by upgrading your strategy you now have a fresh set of eyes to tackle the problem and can pin-point exactly how and why a different approach would produce better results. In addition to this review I would recommend checking out the book in either physical or audio form to really get the full picture of the system. 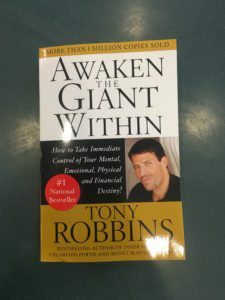 If you are looking for a wake up call to your life, then Awaken The Giant Within is a modern day classic that is still relevant and will be relevant for many years to come. 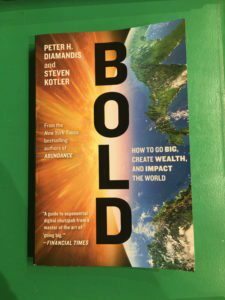 Bold: How to Go Big, Create Wealth and Impact the World by Peter H. Diamandis is a fascinating read that will most definitely inspire entrepreneurs with fresh, bold new ideas. Exponential Technologies are the key to unlocking the potential of our future. By joining in on this wave you will at least be aware of how major growing technologies are impacting our world already. Thinking big is the first step to going big. There are many ways to solve a problem so it takes the proper mindset and perspective to be able to locate these simple problems and turn them into huge opportunities. Peter not only gives great motivation to the seasoned entrepreneur but also he delves deeper into the mindsets of some of the most successful entrepreneurs and their backstories. These key attributes are what separates average entrepreneurs from powerful entrepreneurs.. Leadership combined with the continued search and expansion of exploration for humanity will benefit our exponential potential as a human species. Take educated risks and outweigh the benefits and possibilities of what you are currently doing to what you could be doing. 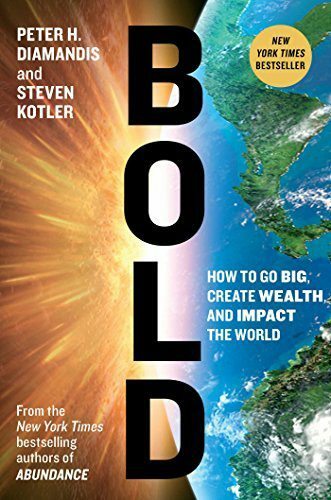 Bold is an excellent manual on today’s exponential technologies and is a superior entrepreneur resource for thinking at scale and discovering the awesome power of crowd-powered tools. Why can people be irrational when it comes to making simple everyday decisions? 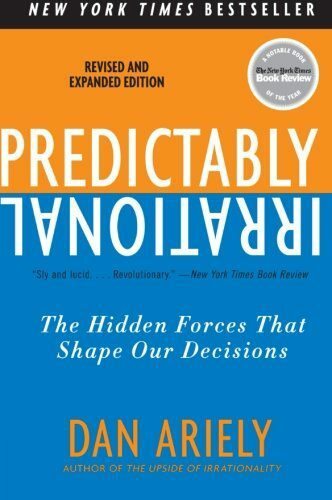 Well, it’s as simple as understanding the human psychology of the hidden forces that shape our decisions. 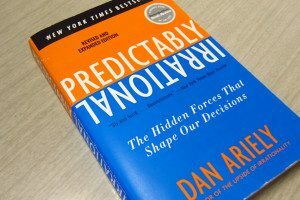 Predictably Irrational by Dan Ariely is a fundamental book on why humans, customers and buyers decide to take action. For instance, the concept of anchoring is an important tool to understand. If you purchased your first KIND Bar for $4.00 and your friend purchased the same KIND Bar for $0.50 at another store, when you and your friend purchase another KIND Bar for $2.50, the perspective between you vs your friend will be completely different. In the real world, anchoring comes from the manufacturers suggested retail prices (MSRP), advertised prices, promotions, product introductions, etc. – all of which are supply side variables, meaning pricing can be controlled to influence customer decisions. What does this show? That our first decisions resonate over a long sequence of decisions. First impressions are incredibly important. On another note, the power of FREE! has tremendous benefits. Experiments were ran in France comparing the results of offering shipping for $1 Franc vs offering FREE! shipping. What happened was that shipping for $1 Franc was virtually ignored by purchasers. FREE! shipping on the other hand resulted in an enthusiastic response by customers. nother interesting thing to note about FREE! is that it subtly changes decisions from monetary transactions to social transactions, which has an enormous impact on how others view us and our actions. The conclusion: no one is offended by a small gift, because even small gifts keep us in the social exchange world and away from market norms. Hundreds of years ago when individuals were mostly farmers and fending for themselves and their families, economies mostly ran on social transactions, resulting in bonds between traders, potentially connecting people and their resources. These experiments show that cash will only take you so far – social norms are the forces that can make a difference in the long run. Our task as entrepreneurs is to figure out which of the two – social or market norms – will product the most desirable outcome. The price of ownership is another interesting concept in the book. It is true that the idea of possessions causes us to view objects in different perspectives. We fall in love with what we already have. Another thing is that we focus on what we may lose, rather than what we may gain. A third quirk is that we assume other people will see the transaction from the same perspective as we do. All this mean is that ownership has its own pecularities. The more work you put into something, the more ownership you begin to feel for it and lose perception of its actual value in the marketplace. Our brains work in fascinating ways. Although we may believe we are rational and logical decision makers as consumers in our everyday lives, the hidden reality is that we are emotional creatures that make seemingly questionable decisions. Understand these hidden forces and you will be aware of how decisions are shaped in our everyday lives. 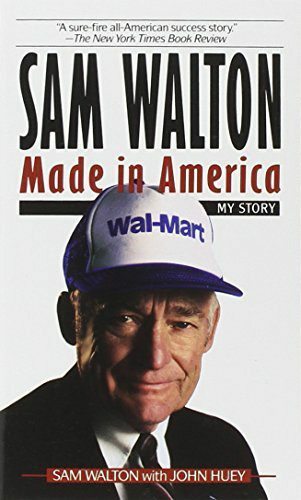 The story of Sam Walton’s life is not just a story of a successful businessman, but rather an autobiography of the true American success story who started out in humble beginnings in the Midwest and compounded into the largest retail chain in the world. The book takes you through the story of how Sam took one retail shop and out competed all of his neighbors time and time again. From raising a family to recruiting his team, Sam Walton’s formula for creating a multi-billion dollar company is a true classic. Sam Walton: Made In America simulates first-hand how the largest retailing empire ever was built long before Amazon ever existed. In scaling a business, especially a physical retail brand such as Wal-Mart there are many challenges that can come up. Sam succeeded in an era where technology was not prevalent by optimizing pricing, product promotions, retail locations, distribution systems and most importantly customer service. Sam overcame obstacle after objection and eventually thrived during a time when competing retailers were just struggling to survive. 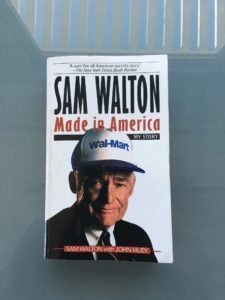 Not only is Sam Walton’s story filled with wisdom, actionable knowledge and perception but the true gem inside the book is one for the ages. You will learn the essential fundamentals firsthand from the very man himself. Sam explains it all from his eyes and experiences. An American legend, this book brings the reader back to the grassroots of industrialization and culminates in the building of the largest retailing brand in existence (at the time). If you want to learn what these rules mean more in-depth, then I suggest you take the time to read the book. After all, it is only $7. The hard part, as so eloquently stated by Sam Walton is that the real challenge, is to constantly figure out ways to execute the rules and plans you have set for yourself. You can’t just keep doing what works one time, because everything around you is always changing. The world will always keep changing. To succeed, you have to stay out in front of that change, which means adaptability is key in a world of ever-changing circumstances.